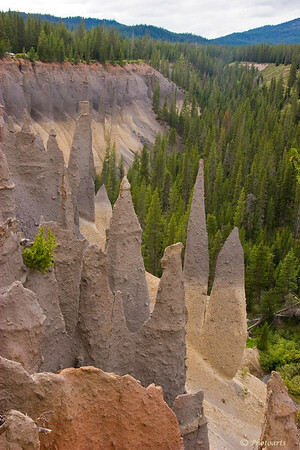 Volcanic Pinnacle formations near Crater Lake National Park, Oregon. Amazing formations! Very nice photograph. Rouge river area sure is nice!